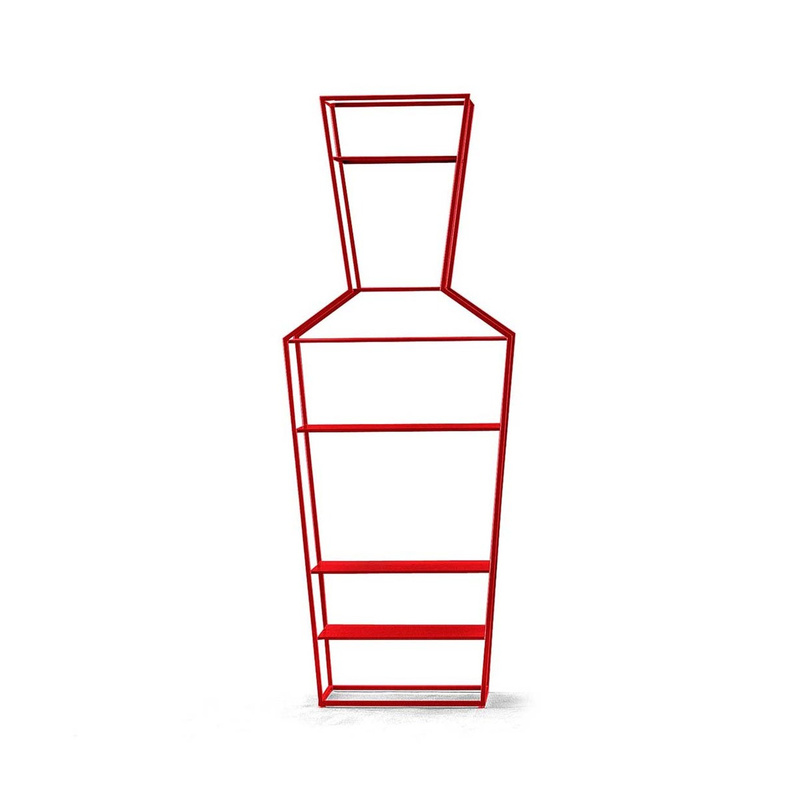 Innovation and functionality: the June bookcase revolutionizes a classic concept. 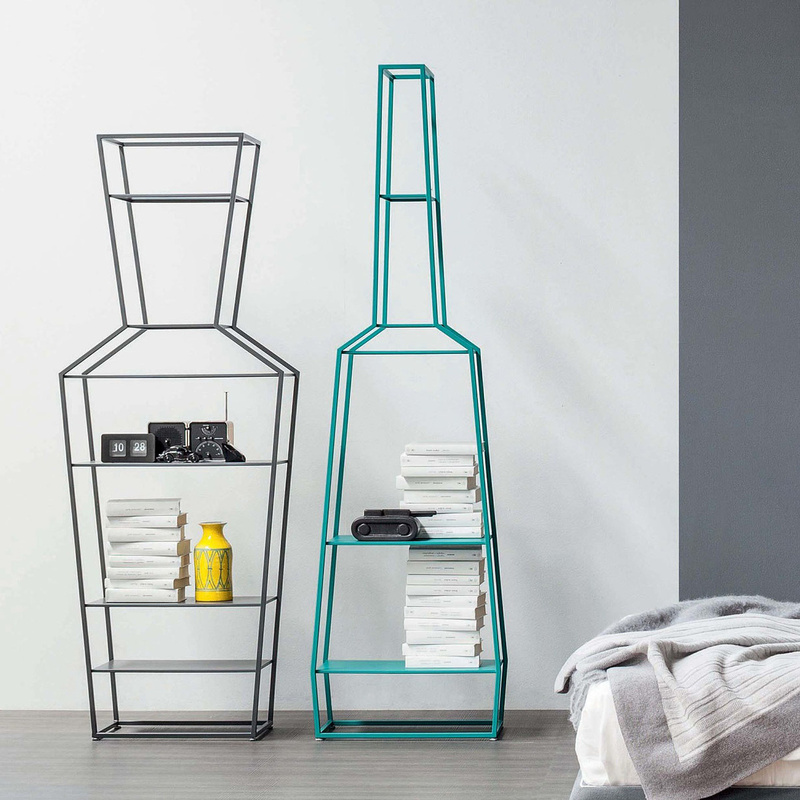 Whether alone or with the other two bookcases in the collection April and May, the June bookcase proposes a new idea of furniture with its modular concept and unusual shape. A bookcase shaped as a bottle or a bottle that becomes a bookcase? 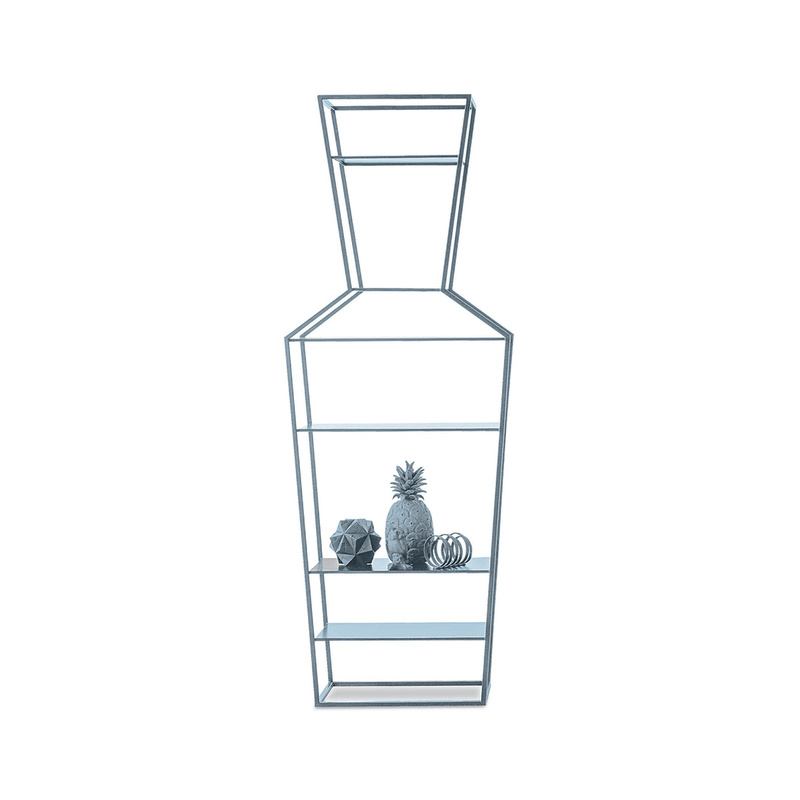 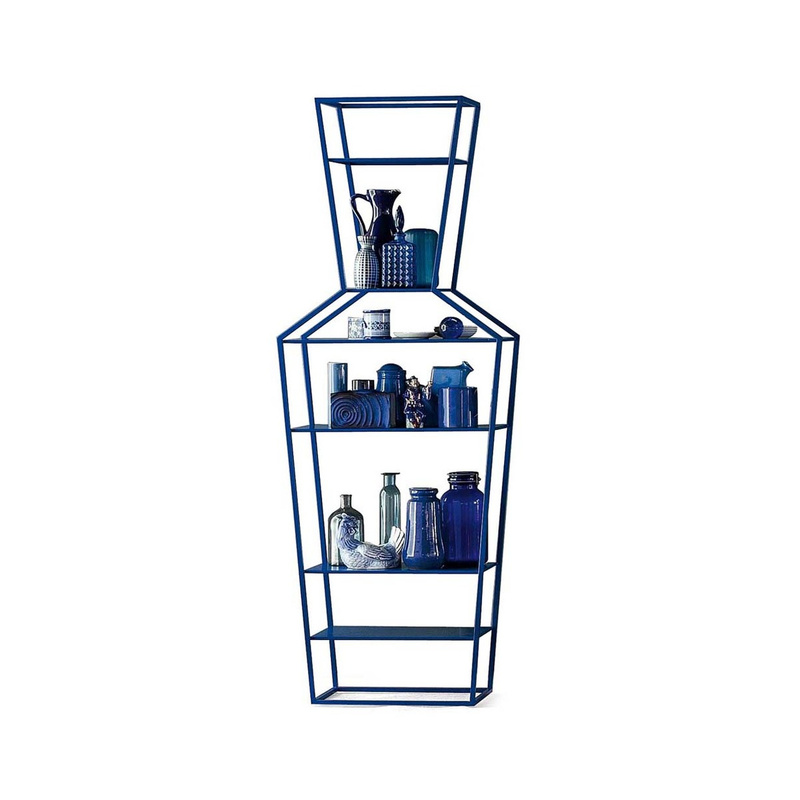 June is both, an object that represents another, a piece of furniture that has to be discovered and used as an organizer or as a decorative element with an exclusive and unusual look. 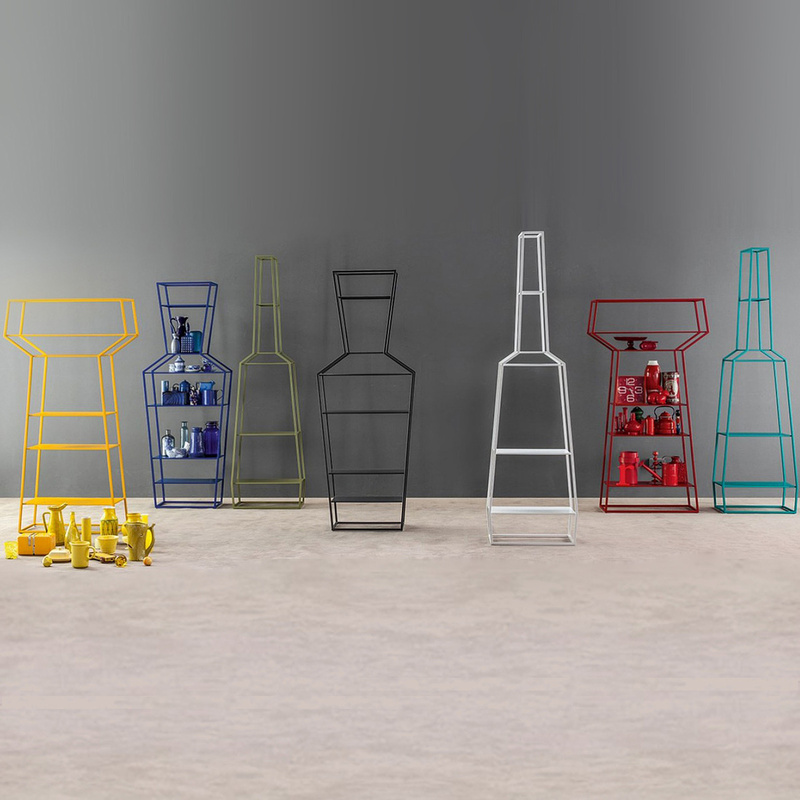 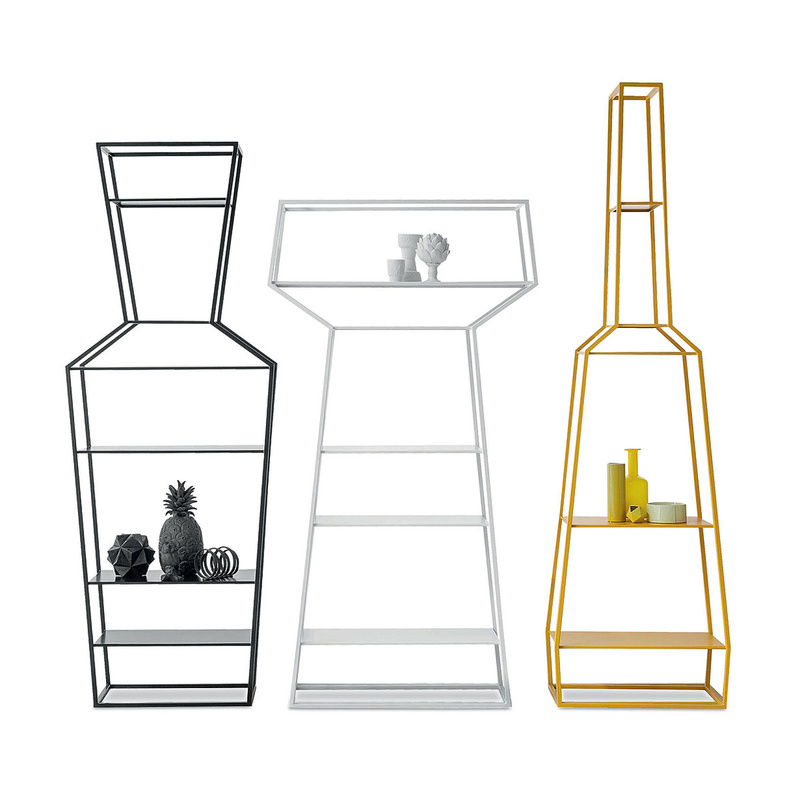 In addition to its peculiar shape, in fact, June is equipped with a great number of shelves placed at different heights and of different sizes, perfect to accommodate all kinds of objects and display not only books but knick knacks as well. Stable and sturdy but at the same time light and airy, the frame is in painted metal and available in many different colours (it is shown here in an elegant grey). 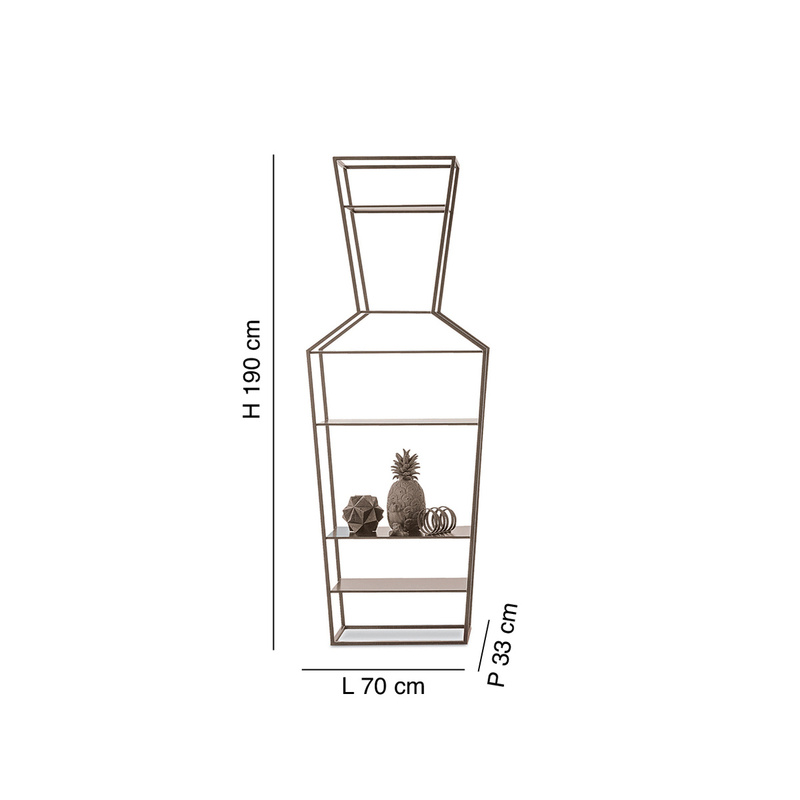 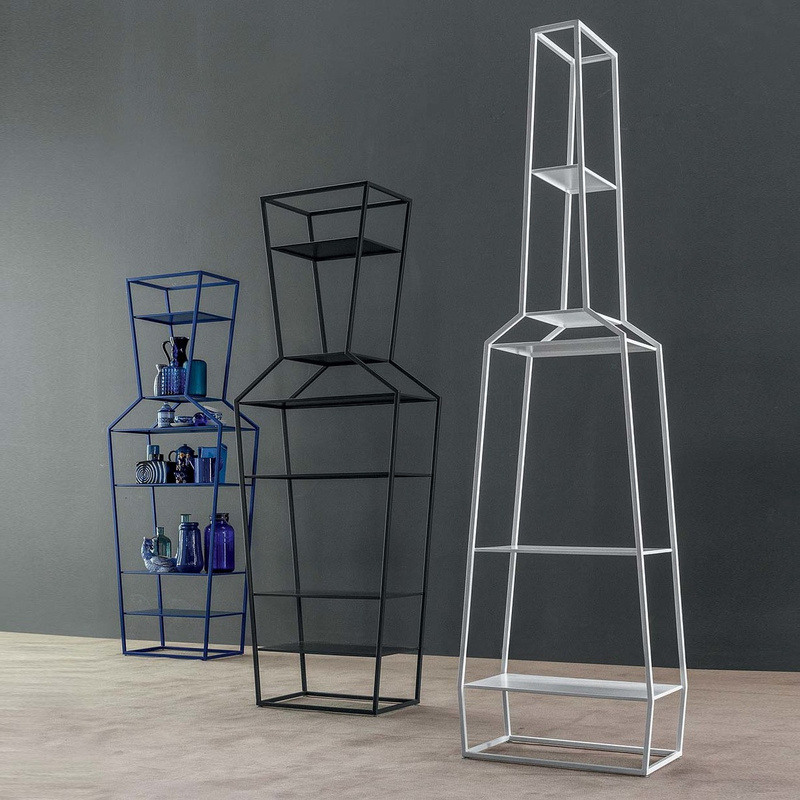 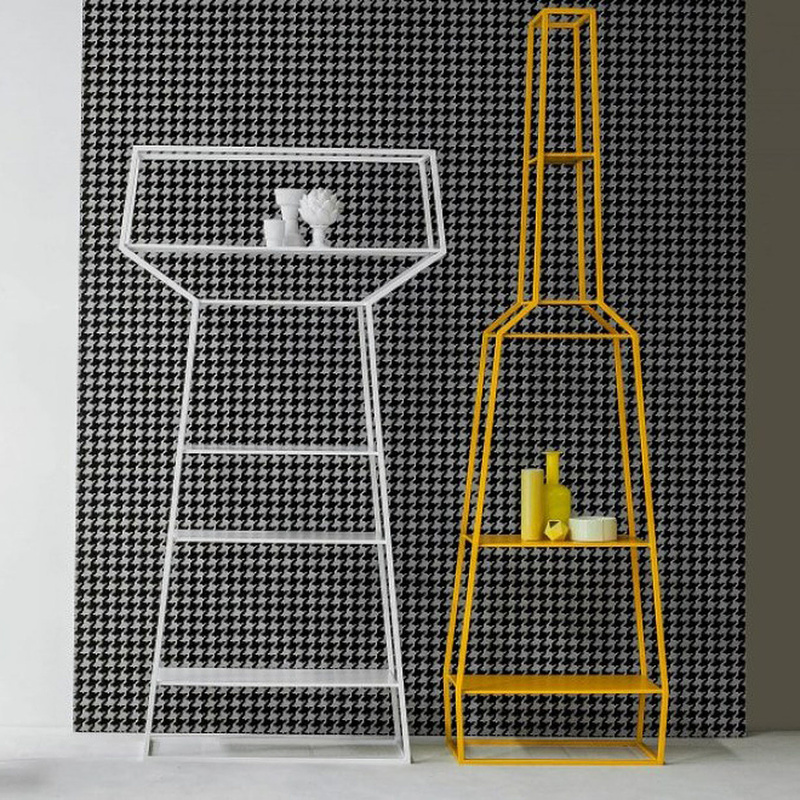 Created by designer Gino Carollo for Bonaldo, it can be placed in the living room to contain books, DVDs, knick knacks and other decorative elements but also in any other room of the house, from the entrance hall to the kitchen, to the bathroom thanks to its small size (D: 33 cm, L: 70 cm, H: 190 cm).